They move along walls and avoid open spaces, so follow where you see the mice droppings in both directions and you'll know where they've been traveling. Mice gnaw at drywall and similar materials, creating clean-cut holes up to 1 1/2 inches in diameter, but they can fit through any dime-size opening they find. Look for the holes and debris in the dark corners of your kitchen and laundry room. Check for caches of pet food and birdseed in unexpected places—behind appliances and furniture, and near other undisturbed spots in your house. Mice build nests of paper and other fibrous material in sheltered spots near constant heat, such as refrigerators, ovens, and water heaters. The classic snap traps and modern electronic traps capture mice and make sure they're gone for good. Snap traps are the least expensive, and they're reusable or disposable, your choice. 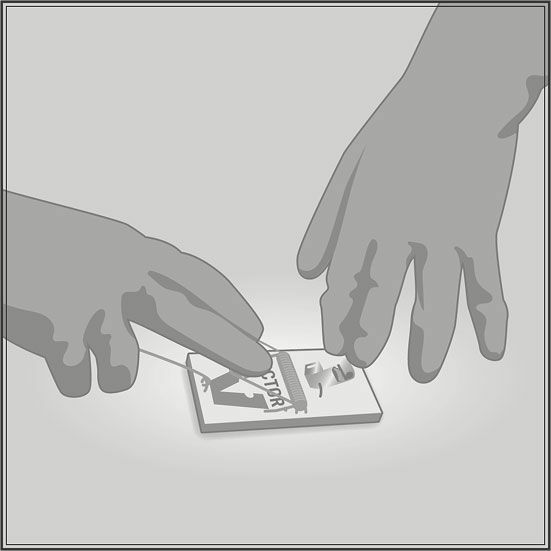 With an electronic mouse trap, you don't have to see any mice or continuously check traps—an indicator light lets you know when one has been caught. If you'd prefer to get them out of your house unharmed, you can use live mouse traps that let you release them far from your home. After the pests are gone, set up PestChaser® rodent repellers that emit ultrasound waves you and your non-rodent pets can't hear, but that drive mice away. 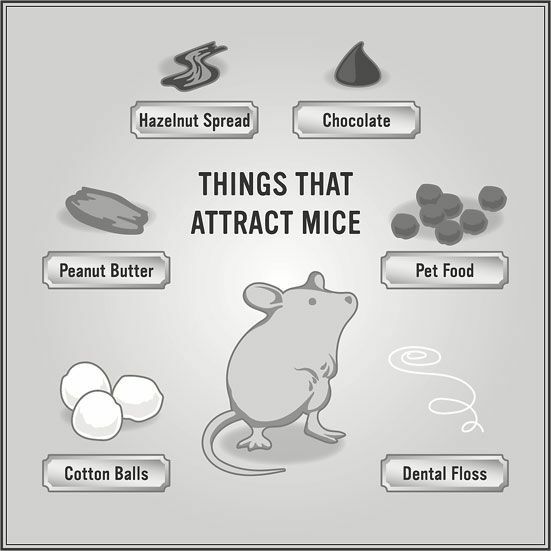 Mice are strongly attracted to high-calorie foods, such as peanut butter, hazelnut spread, and chocolate. In winter, mice build nests with materials like cotton balls, dental floss, yarn, and twine, so they work as bait too. The food that mice have been feeding on in your house, whether that's pet kibble, birdseed, or candy, may be the best mouse trap bait. 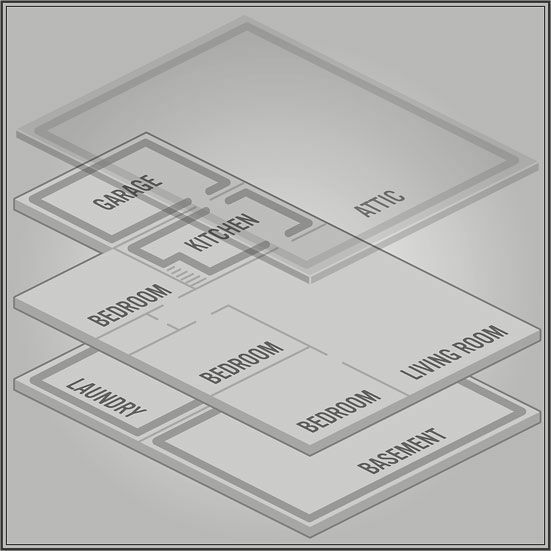 The very best spots for mouse traps are in enclosed spaces, inside cabinets and closets, and beneath or behind furniture and appliances. Around your range or oven is a favorite haunt for mice, because there's a steady supply of warmth and tiny bits of food. If there's a drawer for storing pans beneath your oven, set a mouse trap inside it. Look in on your mouse traps the first morning after you set them, and every morning after. 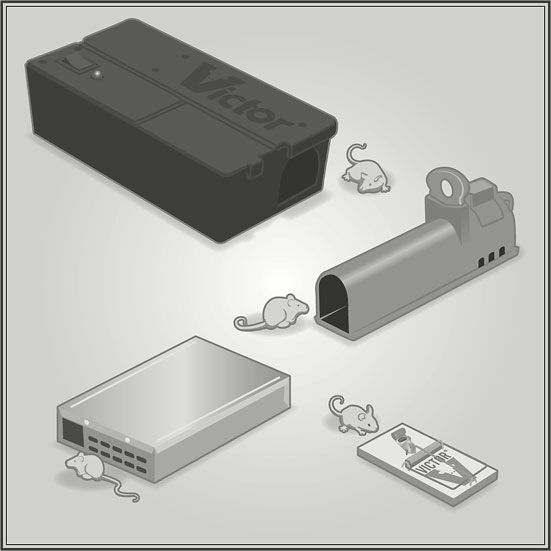 Studies show you are likely to catch more mice on the first night you set out traps than on any subsequent night. Be sure to set a lot of mouse traps from the start, so you can capture as many as possible quickly. Mice reproduce so fast and abundantly, you are certain to have more than one in your home at a time. So don't quit after you've caught one. Keep setting and checking mouse traps until you haven't caught a mouse for a week.